Who isn’t excited for the holidays??? This holiday in particular is my all time favorite! You can find me along the waters edge with the best view of the fireworks. Not to forget, my family and I have been planning our awesome BBQ menu for weeks! I hope you all have a safe and blessed Fourth of July with all your loved ones. We’ll be back in business with regular hours on Thursday. Hey Everyone! Time for another portfolio update! Last week we had one of our clients, Mr. Issac Trigsted in the studio, getting his new digitals ready with Gideon for the upcoming convention. We had a great time getting to know Issac and his mom April, who are members of our Spokane Team. We cant wait to see the photos! Your Friends, Fans, and Family from Seattle Talent are glad to have you on board. Bonnie Ventis from Clear Talent Group will be hosting Agent Day on July 7th for our Clients at Seattle Talent! Bonnie Represents Rico Rodriguez who plays Manny on the hit ABC series Modern Family. This is super exciting news! One of Seattle Artists Agency’s Clients just recently booked a role in a new web series! Mr. Lance Caver plays a cop in the series Capitol Murder and is featured in the trailer linked below. Watch the teaser and tell us weather he plays the good cop or bad cop? We’re super excited to see catch Lance in action! Congratulations from your friends, family, and fans from Seattle Talent. Jack Sullivan’s Can Kids Magazine Spread! We are always excited to share our client’s big moments. Congratulations to Mr. Jack Sullivan for being featured on a 2-page spread for CAN KIDS magazine. An exclusive interview with the aspiring actor was published as well! Jack is such a talented young man and is a great example of how you can be successful from working hard and staying focused on your goals. Your Friends, Fans, and Family at Seattle Talent are so proud of you! What a successful photoshoot Osias! Our Client Mr. Osias Romero had a great time shooting with Zulily recently. He definitely fits the role of a little league all star, looking super comfortable in this attire. This is our talented friend Mr. Blake Converse, from our Wenatchee team. 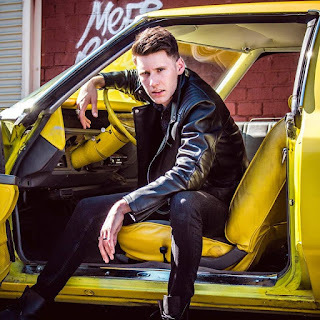 Blake competed in IMTA LA 17, and after blowing away the judges and competition, this Actor, Model, Singer, Songwriter, Pianist, and Photographer has made the move to LA! We signed Blake just over a year ago, and he just hasn’t stopped. He is always eager to audition, and focused take his skills to the next level. Blake, we are excited and wish you the best of luck on your journey! Keep us posted on all of the fun and exciting opportunities that come your way! Congratulations my friend, from your fans, friends and family here at Seattle Talent. You can follow everything Blake is up to by following him on Facebook and Instagram! Lylly has the brightest and cutest smile! How adorable is she? Our client Ms. Lylly Veller was thrilled when we booked her for a HiHo Kids, Try Video shoot. She got to try Jollibee and ATW! We couldn’t wait to share the news with everybody and are excited about the video! Your Friends, Fans, and Family at Seattle Talent send you our congratulations! Our Beautiful client, Ms. Brooklyn Williams, starred in a fun Zulily photoshoot. There is no way you could miss that adorable face! She has modeled for the Seahawks and booked several other photoshoots prior to this shoot. Brooklyn is loving every moment in the spotlight. She is no stranger to the camera! We are so proud of you and the work you’ve done, Brooklyn!